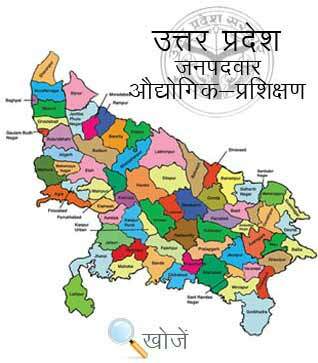 Kaushambi is a town in Kaushambi District, Uttar Pradesh and is a part of Allahabad Division. Manjhapur town is the Administrative Headquarters of the District. It is one of the famous and historical cities of northern India. The city is very well known as Buddha Place and is also the birthplace of sixth Jain Tirthankar Padam PrabhuJi. King Ashoka placed a Pillar of Ashoka in Kaushambi. The literacy rate of the city is 63.69 % which is the lower of state average 67.68%. It boasts some of the best Government Colleges, Private Colleges, Schools, Professional Study Centers like Mata Prasad Inter College, TikraMawai, Kaushambi, Deena Nath Pandey Mahavidyalaya, Sirathuetc etc. imparting higher and quality education to the students. Apart from this to understand the requirement of technical skills in country, the city has One Government ITI College along with twelve Private ITI Colleges. The prerequisite to enroll in different courses is Xth passed with the minimum age of 14 years. Vyavasayik Pareeksha Parishad (www.vppup.in) Uttar Pradesh is responsible for conducting the entrance examination for admission to different courses in ITI’s. Also, students can visit online portal www.upiti.in as well which offers updated information to the students regarding admission, checking of results, online downloading application forms, admit cared important notification dates etc. to get all the valuable online information.